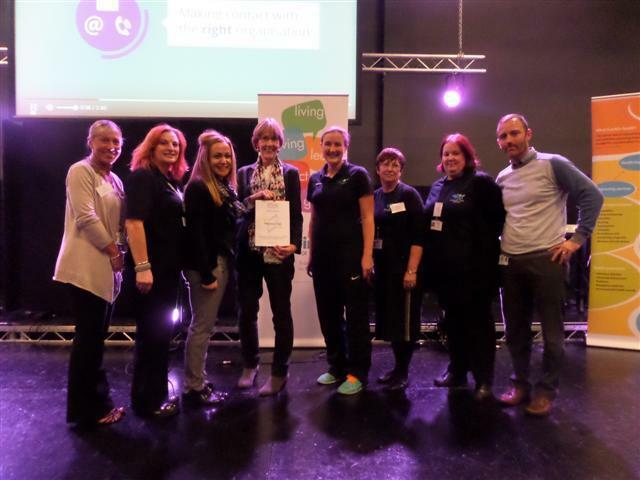 Wellbeing for Life is the first service to achieve the County Durham Volunteer Kite Mark as a programme involving a partnership of organisations. 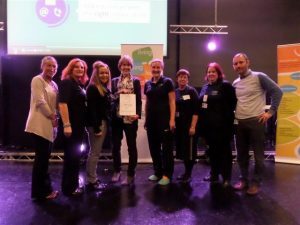 The County Durham Volunteer Kite Mark is a quality standard designed to show that a volunteer involving organisation meets standards to overcome barriers to volunteering set out by the Centre for Volunteering and Social Enterprise. 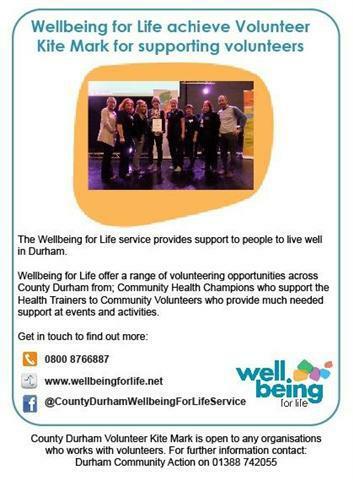 The Wellbeing for Life service provides support to people to live well in Durham, by helping to address the factors which influence their health and build their capacity to be independent, resilient and maintain good health for themselves and those around them. The wellbeing approach goes beyond looking at single-issue and instead aims to take a whole-person and community approach to improving health. The service operates within the 30% most deprived communities in County Durham making a difference to the individual and their sense of community. The Volunteer Kite Mark is a quality standard designed to show that an organisation recruiting, supporting and utilising volunteers meets standards to overcome barriers to volunteering as set out by the Centre for Volunteering and Social Enterprise. Wellbeing for Life Volunteer and Skills Co-ordinators expressed their appreciation of the involvement of volunteers in the programme and said “We love working alongside them, the volunteers are so keen and enthusiastic”. Wellbeing for Life currently has 111 active volunteers of which 56 are training Community Health Champions and they support the team of 60 paid staff who work with groups and individuals in County Durham supporting them to take those difficult first steps to a better quality of life.